* Hearings Audio vs. Enyart Fox 31 Audio: Compare Brett Kavanaugh's audio from the hearings to Bob Enyart's audio from Denver's Fox 31 interview. Kavanaugh bends over backwards with respect for the child-killing "precedent". 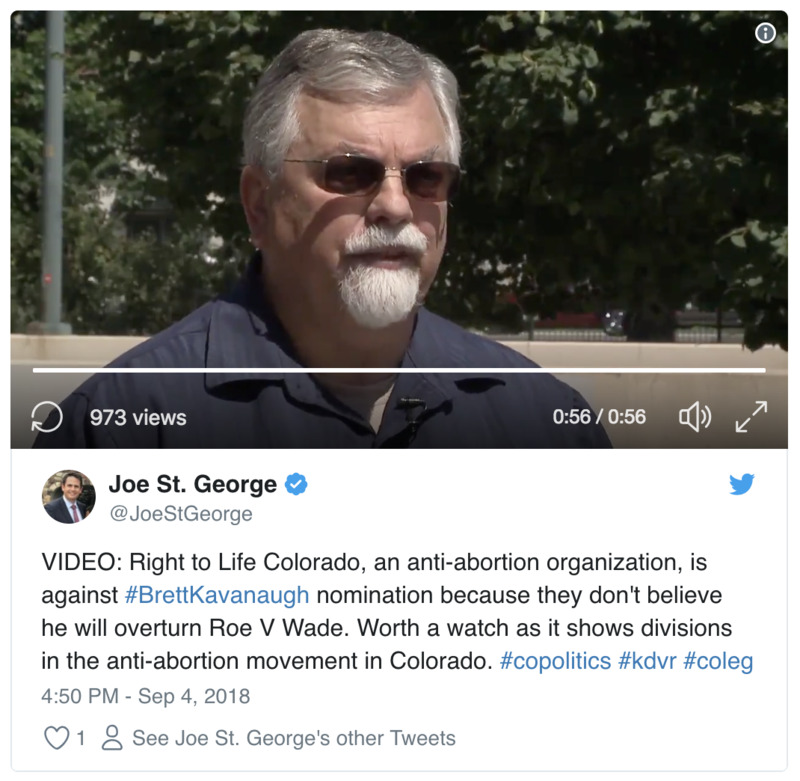 Enyart tells Joe St. George: "The Democrats are confused about Kavanaugh and about the Republicans. The abortion ruling, Roe v. Wade was passed by a Republican majority. Of the seven justices who voted for it, five were Republicans. Roe was written by Republican justice, Harry Blackmun. And in the decades since there's been a Republican majority on the Supreme Court and they've always kept abortion legal and of the eleven justices nominated since Roe v. Wade by Republican presidents [O’Connor, Scalia, Bork, Kennedy, Souter, Thomas, Roberts, Miers, Alito, Gorsuch, and now Kavanaugh], each of them have denied the unborn child’s the right to life. The Democrats lie to the public. We Republicans lie to ourselves." * Dobson DEFENDING Pro PBA Ruling: See also James Dobson, then with Focus on the Family, actually DEFENDING a judge's pro partial-birth abortion ruling with the absurd justification that Samuel Alito had no choice because he had to follow precedent. That's at 16:45 into our our Focus on the Strategy II video, but we suggest you start at the beginning of that video, or at least back at 13:20. * Dred Scott Shephardization: See Bob Enyart's article at American RTL, Justices Reference Dred Scott 56 Times -- Informing Pro-life Strategy.